The St. Helens Public Library was recently selected to receive a $20,000 grant from the Northwest Regional Education Service District STEM Hub serving Columbia, Clatsop and Tillamook counties, which will help the library boost its own program while also teaching others how to develop their own STEM initiatives. The grant funding will allow staff at the St. Helens Public Library to help write curriculum for an after-school STEM — science, technology, engineering and math — program that other libraries and informal educational groups can use, which will be modeled after the program established by Gretchen Kolderup, the St. Helens library's youth librarian. 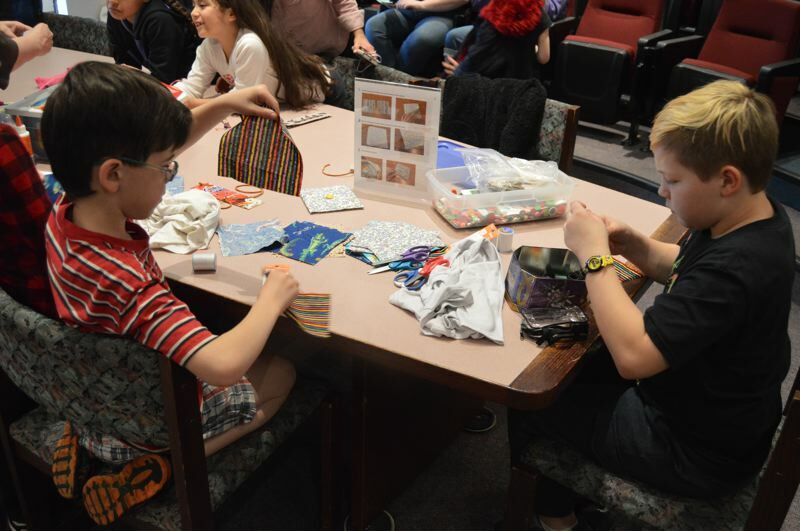 Kolderup helped launch the library's current STEM program offerings by creating a series of monthly workshops called "Make It!" in 2017 that encouraged children to take part in do-it-yourself activities and interact with different technologies that tie into the theme of making items by hand. On Wednesday, Dec. 19, Kolderup presented information about the program to the St. Helens City Council. "If you think of the library as just books, doing science at the library is weird, but if you think about it as a place of stories, making things and creativity, then it makes a lot more sense," Kolderup explained. Workshops have included teaching sewing skills, creating stop animation films, learning coding, working with robotics and using 3D pens. The concept ties together STEM education and the maker movement, which teaches children to think about making items while also using problem-solving strategies. It was that creative approach that caught the attention of directors of the NWRESD STEM Hub who ultimately were able to provide grant funding to the library this winter. School to help with the workshops. In the two years "Make It!" has been in place, the number of attendees has increased by 30 people, growing from 578 participants in 2017 to 756 in 2018.
the parents and youth of our community. She is a true asset." The grant funding will also provide staff an opportunity to write a set of curriculum that can be used in other places interested in forming after-school STEM programs. "I feel really lucky getting to do this for the community," Kolderup said.